We all know that exercises is an important part of recovering from shoulder pain but there are a lot of mistakes that I see. The kind of mistakes that I am talking about are exercise mistakes that one sees in the gym. Most times with males, they go to the gym and too much chest work. They will do bench press machine, dumbbell bench press, cable crosses, etc. It is important to do chest exercises for a balanced exercise program but if you goal is to help with your shoulder pain, it should not be your focus. I would suggest doing one or two chest exercises when in the gym and I would focus more on what I am going to talk about in number 2. I am not talking about lower back, I am talking about mid-back. For people with shoulder pain, often what has poor activation, endurance and strength are the mid back muscles. I would encourage you to do seated row machine, single arm dumbbell row, cable rows, etc. This will work on the activation, endurance and strength of the shoulder from behind and these muscles are most often now working properly in someone with shoulder pain. With shoulder pain, often times the front of the chest is tight and it is important to stretch it out. A common mistake people make is not stretching it correctly. It is important to focus on getting a light stretch in the chest. Another thing to focus in on is limit how far back you move your arm. Many times people will try to move their arm as far back as they can and it is more important to position the arm in a way that you get the best stretch compared to seeing how far back you can move it. It is important to keep the shoulder in it socket when performing exercises. 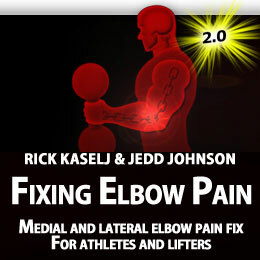 You should not let the arm be pulled which will lead to excess stress being put on the structures around the shoulder. Keep the muscle active around the shoulder and don’t relax the arm so it is being pulled at the end or start of the exercise. Don’t make these mistakes when it comes to shoulder pain exercises in the gym. Remember to cut down on your chest exercises, do more back exercises, stretch the chest properly and don’t let your shoulder be pulled forward. I know if you do these four things, they will get you on the path to a pain free shoulder. This entry was posted on Wednesday, July 27th, 2011 at 4:49 pm	and is filed under Uncategorized. You can follow any responses to this entry through the RSS 2.0 feed. You can leave a response, or trackback from your own site.